Have fusion equipment in need of repair? ISCO is able to repair, refurbish, and rebuild your fusion machines – no matter the age. We have parts when and where you need them. Any time. ISCO has several Authorized McElroy Service Centers around North America. Authorized Service Center locations offer a full line of McElroy products along with service, training and product support. These centers are committed to providing our customers across the globe with all of the tools needed to succeed. 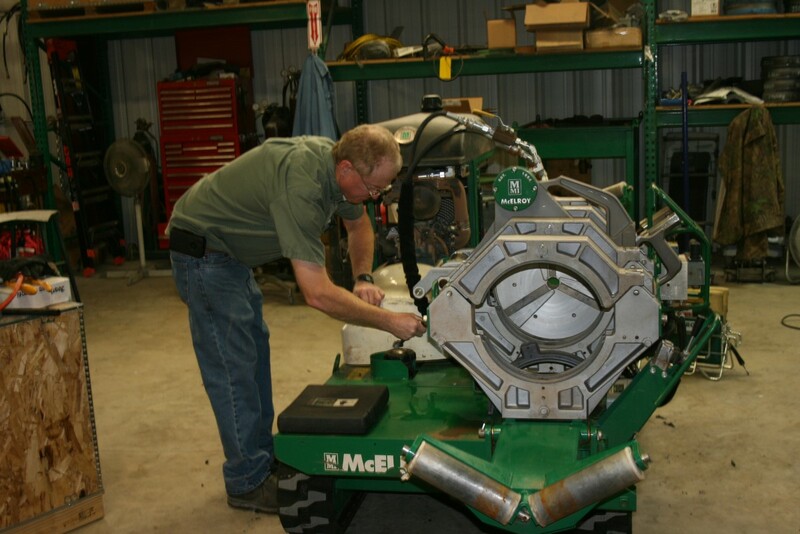 We have McElroy Master Mechanics that are factory trained by the McElroy with many years of experience. McElroy Master Mechanics have successfully completed all courses in troubleshooting, rebuild and maintenance techniques for McElroy fusion machines. They have also passed a rigorous skills assessment to ensure their ability to provide world-class service and maintenance of McElroy equipment. ISCO also participates in McElroy’s Certified Rental Program. To protect your McElroy rental, the Certified McElroy Rental program works daily to maintain rental fleets around the globe. The combination of genuine parts, a factory-trained team that adheres to a strict set of maintenance requirements and an industry-leading distribution network ensures that you can find a local rental machine that performs to McElroy's expectations and yours.